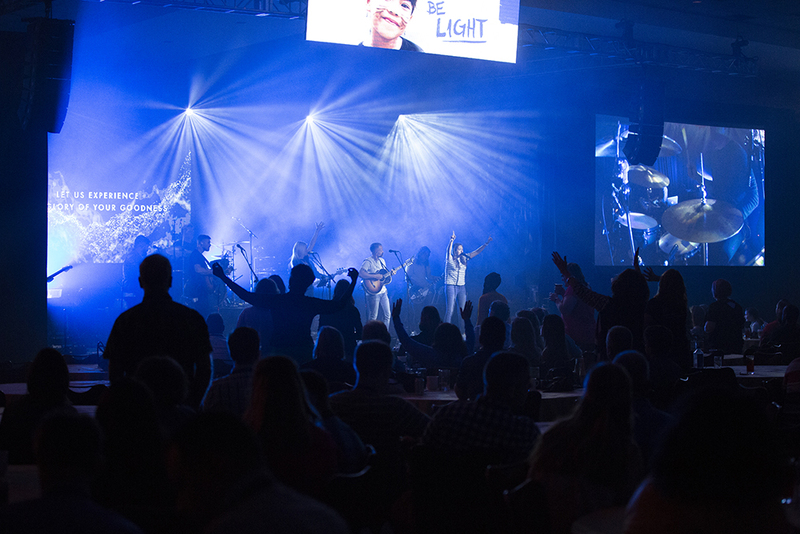 Created to be the Christian Music Broadcasters’ premier annual event, Momentum is a 4-day conference which brings together radio and record industry professionals from around the world. Since its inception in 2009, Momentum has been dedicated to the success of Christian music broadcasting offering a showcase of the hottest musical artists today. Held for the second year at the Loews Royal Pacific Resort at Universal Orlando, the CMB events team wanted to create an attendee experience like none before, so they called upon the Nashville-based production provider Elite Multimedia Productions who supplied three event stages using a full package of audio, lighting and LED video. For more information on how Elite Multimedia Productions is the right partner for you, visit www.elitemultimedia.com, follow us on Twitter at @EliteMultimedia or find us on Facebook or Instagram.